All Allweiler® Centrifugal pumps require gaskets for sealing. Shanley Pump and Equipment, Inc. carries a full line of replacement Allweiler® centrifugal and progressive cavity pump gaskets for immediate shipment to your facility. We carry Aftermarket and OEM Allweiler® Pump gaskets in our Chicago, Il. facility. Pump gaskets come in a variety of standard and exotic materials like rubber, EPDM, Teflon, coated thermal paper all depending upon your application requirements. 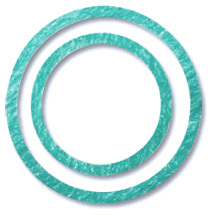 If you are unfamiliar with your specific gasket type, give Shanley Pump a call and one of our sales engineers will be glad to assist you in the selection of the optimal replacement OEM or aftermarket pump gasket for performance in your Allweiler® centrifugal or progressing cavity pump.